Do you need a little paradise near the patio? Elephant ears are a refreshing sight in the landscape when it's a billion degrees outside. They are grown for their bold, dramatic foliage, though some varieties sporadically make a cup shaped flower. Although they are tropical plants, they generally come back from winter year after year and are pretty easy to grow. 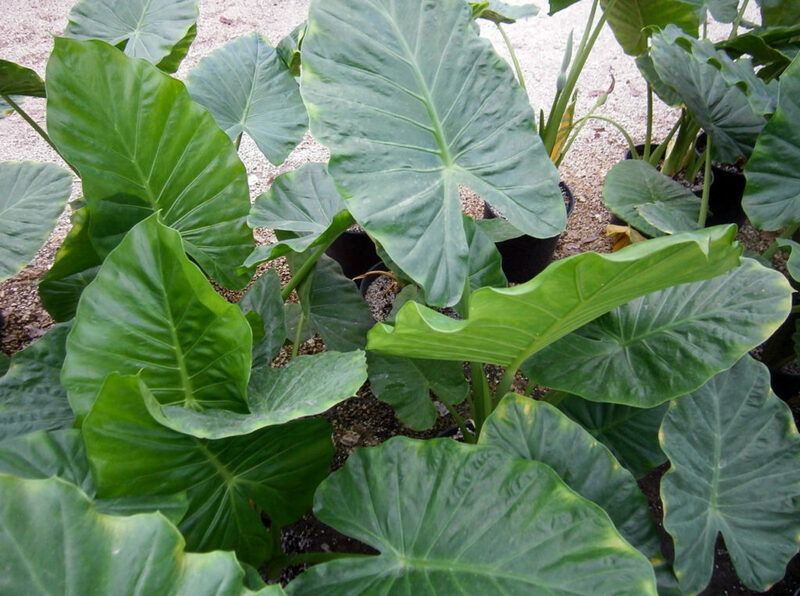 There are many different varieties of Elephant Ear- Calocasia, Alocasia and Caldium are the most common. Their large leaves, resembling the ears of a well known pachyderm, can be a cool emerald green, nearly black, spotted or with white margins. Caladiums come in variations of pink, red and white. Depending on variety, their leaves may be pointed up like an arrow, or appear heart-shaped and sitting flat on their stems. 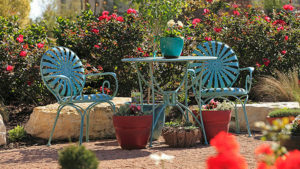 In San Antonio, these plants may stick around all year if we have a mild winter. After a freeze, their foliage will die back, but return in the spring. Don't worry, they are fast growing and will get back up to their mature height in a short growing season. Elephant Ears do best in moist but well-drained soil. Acidic soil is even better. Because of their rapid growth, they do need to be fertilized often. Use a slow release fertilizer at planting time and regularly thereafter. Plant these beauties in shade or part sun (morning sun). Planting in an area with lots of hot afternoon sun may get you some crispy leaves. You will also need to make sure you have enough space. Most varieties will get about 3 or 4 feet tall and wide, but some can get up to 9 feet tall! Elephant Ears look great planted poolside or used as a background plant for shorter perennials and annuals. Combine them with other tropicals like bananas, canna lily or coleus or use them as a centerpiece in your container gardens. Grow them along walls or fences to break up straight lines or add interest to bare walls. In addition, they can even be grown as houseplants! Whatever you choose, Elephant Ears are sure to grab attention. Come see our great selection at The Garden Center today!